First up is my March Printables Pack Aligned to Common Core. 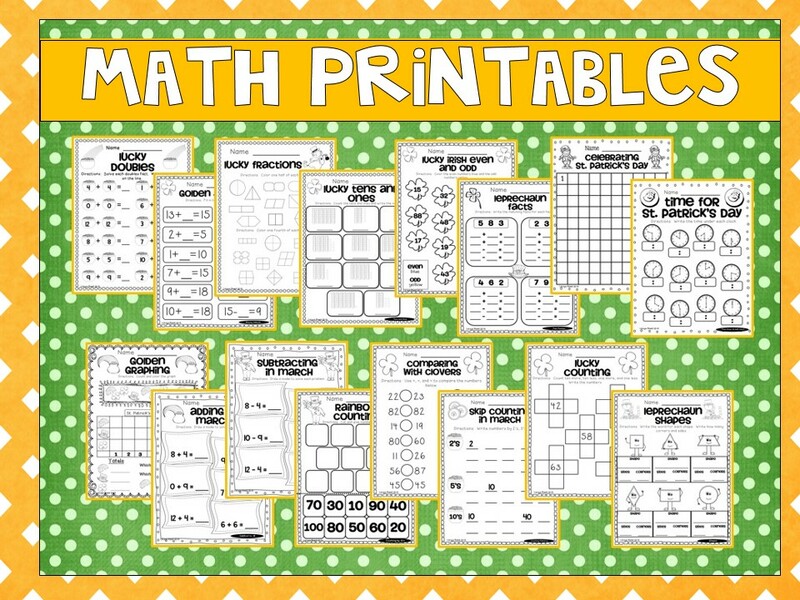 It can be used for Morning Work or Homework or classwork or center work. 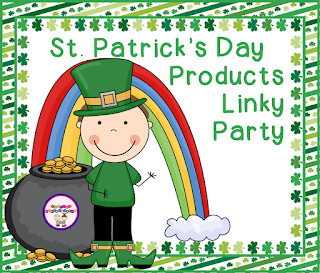 it also includes a mini unit focused on leprechauns.I have given some freebies from the packet below. You can find freebies from this unit here! Check out the full unit here! 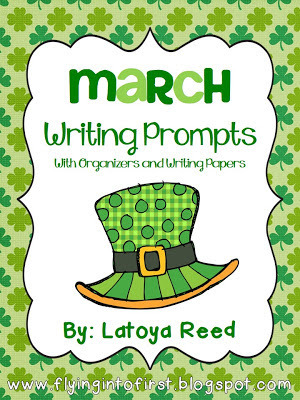 Next is my March Writing Prompts unit. 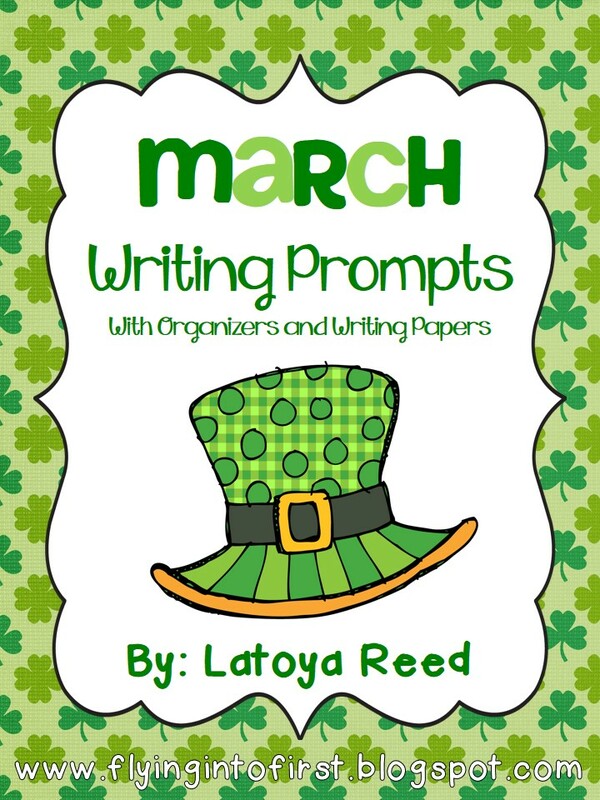 It includes 10 prompts that have a matching bubble map and writing paper. 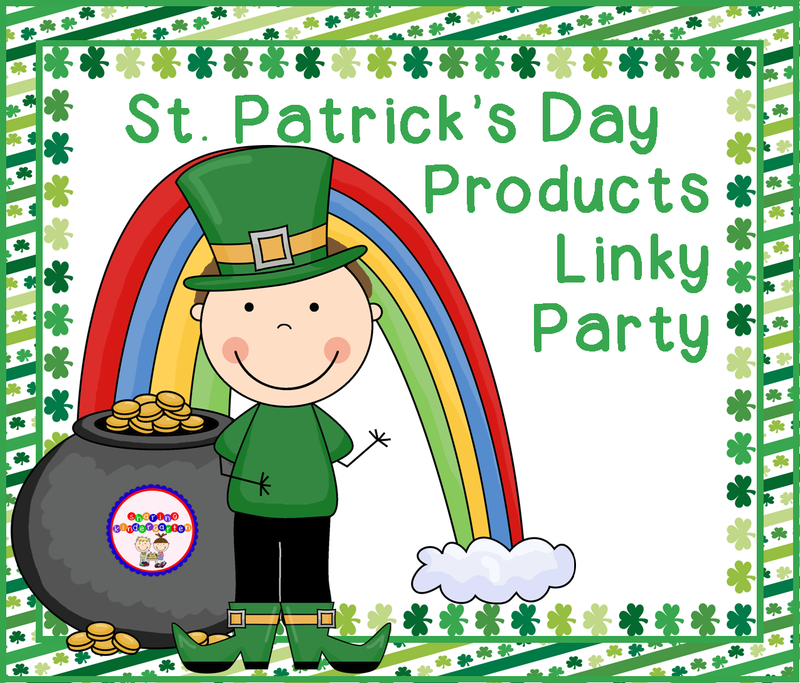 Ok Now it is your turn to go and link up with Sharing Kindergarten to link up your St. Patrick's Day products! Have fun! 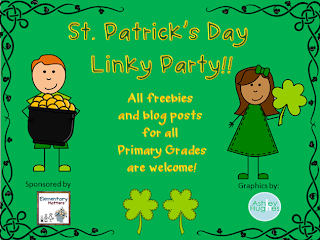 You can also link up with Elementary Matters so hurry on up! Hello! I have been a follower of yours on TPT for some time now and buy everything I can get my hands on! I just LOVE your style and would love to develop skills as awesome as yours! As always, I'm excited about purchasing your new March unit!